Why does the Pa Nang have only one ribcage? 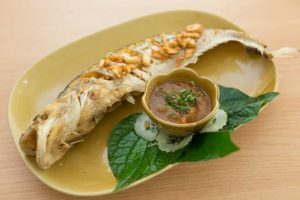 It’s just one fish among many in the traditional cuisine of Laos, but the Pa Nang has one physical characteristic that sets it apart – just half a ribcage. And while there is likely a convincing scientific explanation for this arresting detail, the folklore that has sprung up around the Pa Nang – which translates directly as “Lady Fish” – is far more interesting. What would you do if you knew that you were the only one who could stop an impending war between two rival kingdoms? This was the quandary in which one fabled princess found herself so long ago, whose noble but tragic decision not only brought peace throughout the land, but also gave birth to an entire species. Long, long ago, our ancestors spoke of a beautiful and magical princess, whose comeliness and virtue were reminiscent of those of the legendary Nang Soumountha. It was said that whoever was honorable enough to wed the princess would bring tremendous prosperity and richness to his people. Her beauty spread far and wide across the many kingdoms, finally capturing the hearts of two valiant princes of two of the most powerful kingdoms in all the land. Upon hearing of the other’s intention of courting the princess, each prince fervently mobilised his army to wage war against the other in the name of love. No side could bear the shame of losing the princess to the other without a fight. Realising that neither side would yield, the princess, in a selflessly heroic move, sacrificed her own life to save the thousands that would die in warfare. Before her untimely death, she instructed her trusted aides to halve her body and offer one side each to both princes. The princes woefully did as they had been instructed. Once each half had been submerged into the water, it magically became a fish, and like the form from which it came, had only half of a ribcage. While neither prince had intended to bring harm to the princess, they were most certainly blinded by love, each galvanised by his own interpretation of the infamous ‘if I can’t have you, no one will’ mantra. In the end, the princess had lived up to what she had promised. The fish replenished the rivers and provided sustenance to the peoples of both kingdoms and the land was showered with prosperity for years to come. This is how the fish got its name, Pa Nang (translated literally as “Lady Fish”). And that is why this particular species of fish has only half a ribcage, because of the fabled sacrifice so long ago. 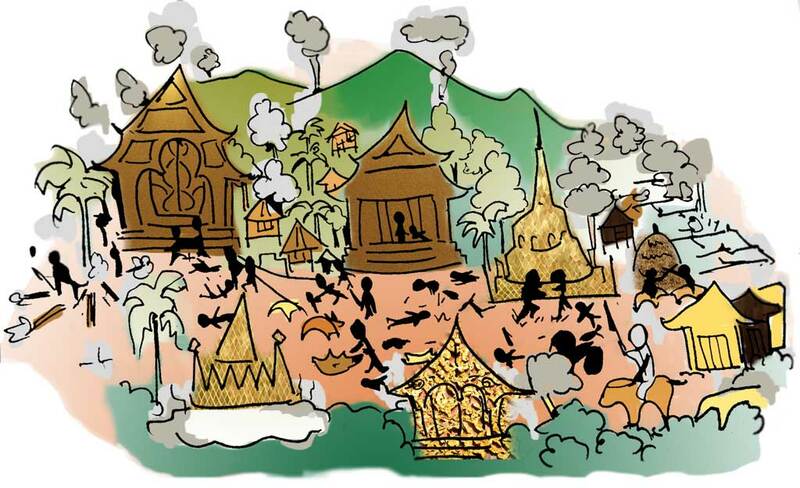 The Pa Nang has been enjoyed by the Lao people for generations. 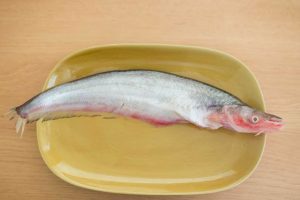 It is generally prepared boiled or fried and can be had on any occasion. 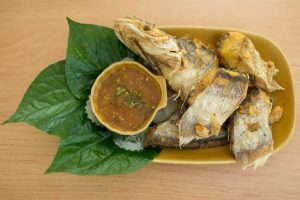 A fresh dish of fried Pa Nang is available at the famous Kualao Restaurant. Don’t forget to take a look at the half ribcage!